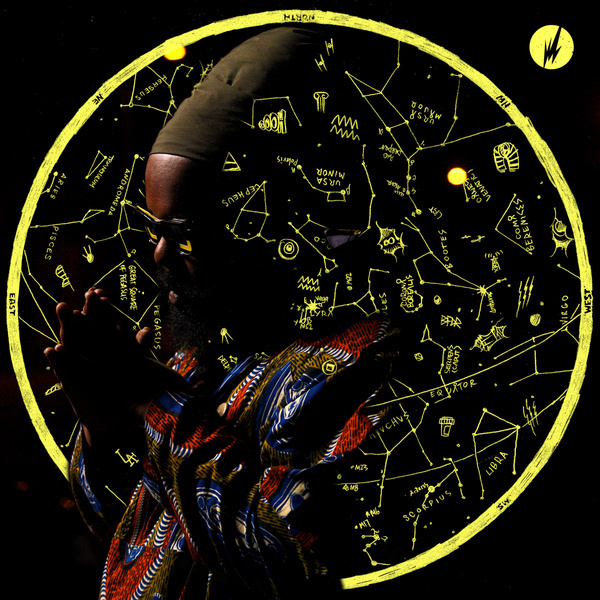 *KILLER ALBUM ON FLYING LOTUS' BRAINFEEDER IMPRINT* Ras G, the L.A based producer and buddy of Flylo first came to our attention last year with a wicked remix of Clouds for Ramp Recordings. It was a genre busting collision of wonky styled and lo-slung hiphop with well picked dancehall Sound System FX that really made his presence felt, so when his remixes of Flying Lotus dropped he had a seriously captive audience at Boomkat. So a little more digging reveals a heavy back catalogue for the likes of the SoCal's cult Poo-Bah records and now most famously Flying Lotus's Brainfeeder label. In fact, Fly Lo likes this so much he's made it the first full release proper on the label, an honour that many were clamming for we're sure. The similarities between the two producers are distinct, from the shortened track times (rarely getting above 3 minutes) allowing for ephemeral little sketches of beat science conducted with a psyched experimentalism to the obvious affection for rich soul vibes and dusty dub textures, you'd be forgiven for confusing the work of the two at times. The one distinct difference has to be Ras G's endearingly lo-fi approach compared to Flylo's hi-end digital gloss. Effects are applied with carefree abandon and synthlines allowed to wander out of their groove at will while the beats are constantly decaying with a rusty quality that gives the whole set a lush texture. To return to the similarities though, it's clear that both share a deep and abiding love for the psyched output of their elders, featuring samples from Sun-Ra amongst others, rubbed into original keys and synth washes from Ras that lend the set an intangibly woozey quality you'll want to return to again and again much like the brilliant Newworldaquarium set from last year. In our opinion this is a more organic and satisfyingly abstract successor to FlyLo's 'LA' longplayer and comes with a massive recommendation. KILLER!!! !